The latest addition to these exotic gardens, which has now opened its doors to the public, is the splendid ‘Le Jardin Secret’, a gorgeous lush garden, located right in the midst of the Medina, just a stone’s throw from the lively Djemma el Fna square. 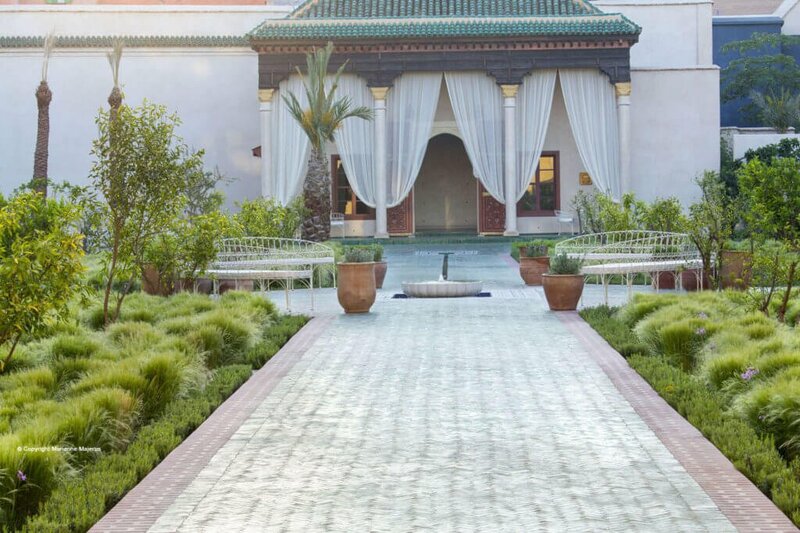 This ‘must visit’ garden comprises of a former palace, dating back to the 16th century, a majestic tower with stunning views over the surrounding rooftops and minarets of the Medina and two exquisitely restored gardens. The ‘Exotic’ Garden brims with striking plants collected from around the world, whilst the traditional ‘Islamic’ garden is divided into four beds, separated by fountains and represents the Muslim paradise on earth and a place for rest and reflection. With its lovely terrace cafe and interesting shop, a visit to the peaceful ‘Le Jardin Secret’ provides the perfect antidote to the hustle and bustle of the busy souks. Mint Morocco will be arranging a small bespoke tour of Marrakech gardens in the spring visiting the ‘Le Jardin Secret’ and the iconic Yves St Laurent’s Majorelle Gardens, plus some other hidden gardens outside Marrakech in the foothills of the Atlas Mountains. Please contact us for further details.